The Play Galleon takes the nautical theme to the next level. 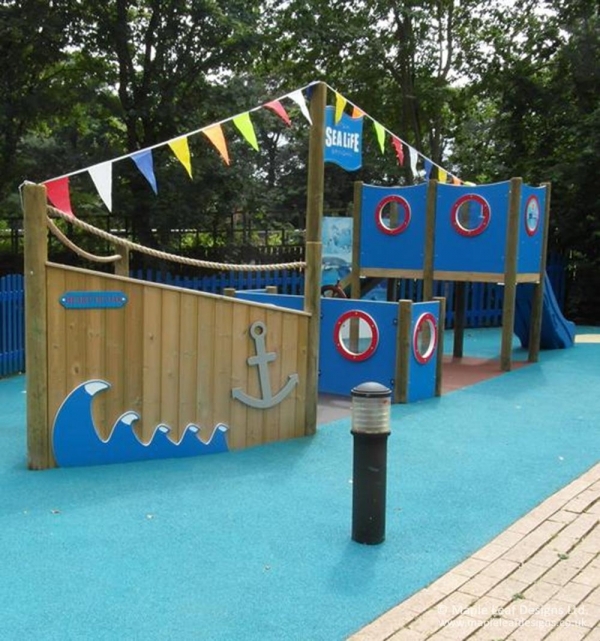 Built from round timbers, HDPE and wooden panelling, and finished with a sea-worthy rope trim and flag, the Play Galleon is guaranteed to leave children with sea-legs. The portholes are built up using HDPE with a polycarbonate window. The standard Galleon features a rotomould slide and climb ramp attached to the tall tower, with a ship steering wheel fitted to the mid-section. To top it off, the flag is customisable to your school or company.